Have you ever felt the love?! 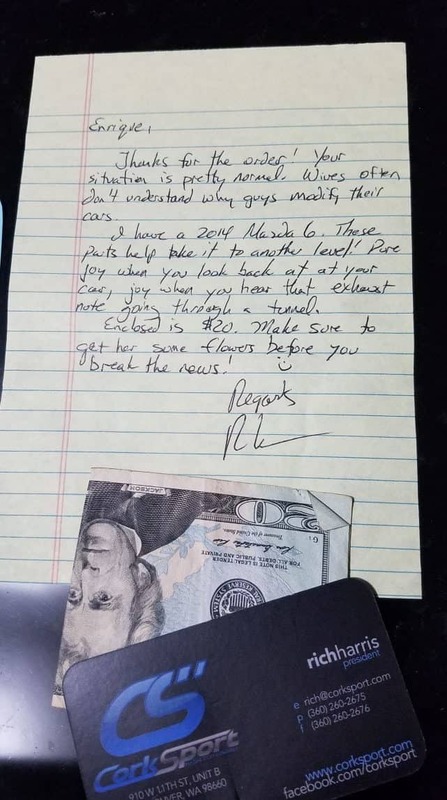 Here at CorkSport, we are known for paying attention to the little things when it comes to our customers. Often, you’ll see we send out some extras like the following, to pass just a little bit of extra joy to our customers! We do Little things, like notes, cards, drawings, and candies. 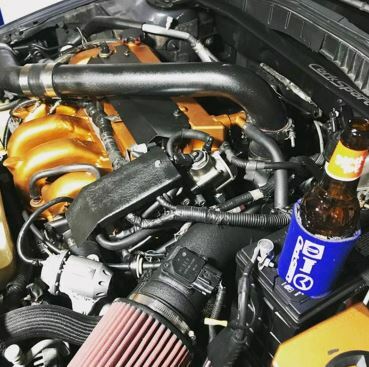 Who doesn’t need a little extra fuel during the install? We do Big things, like Christmas Packages for Deployed Soldiers, unexpected gifts for customers going through life changes, and surprise drop-offs when we’re in your town. Always looking for a way to give our thanks for your support! 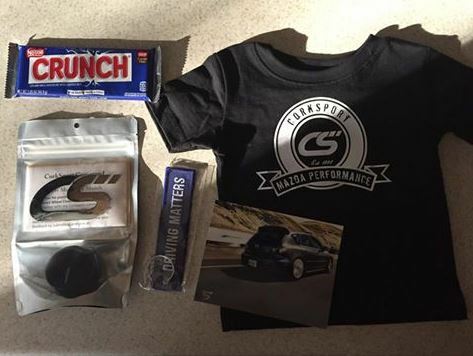 We do Baby Things… to welcome the newest members of the CorkSport Family to the world, not to mention that little T-shirts are just plain awesome! Sometimes there are silly things, like drawings, games, and toys. Of course, having a signed autograph from Derrick may be silly to some, but SOLID GOLD for others. Really, we just love doing all the things. No matter what you get or see as an ‘extra WOW’ in your packages, just know we did it out of love and thanks. That is Why we do it. 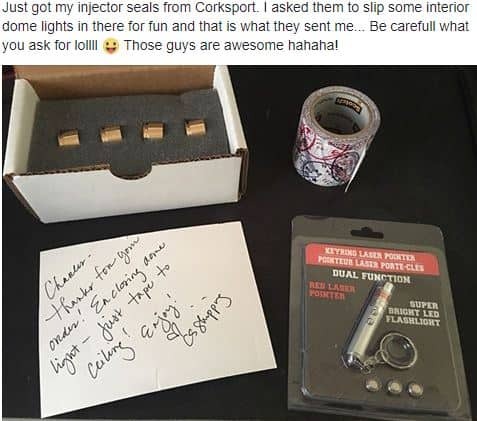 To bring that extra bit of joy to your day, as if receiving CorkSport parts wasn’t enough. It’s our favorite. Surpassing customer expectations and seeing their joy come right back to us via social media. As you can see our customers share the love right back when they post our simple little tokens of gratitude. 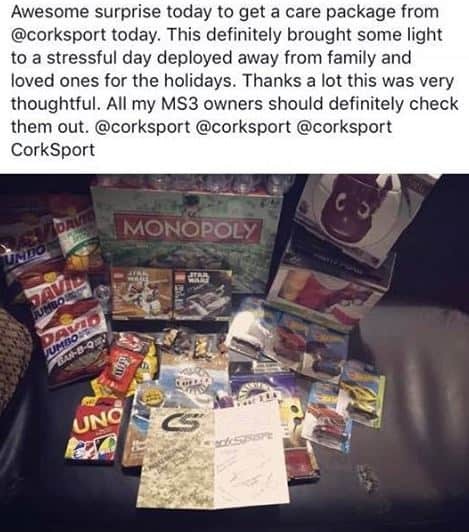 Have you been one of the lucky few to receive a bit of Corksport WOW in your life? We’d love to see you post it up with #CorkSport or tag us with @CorkSport. 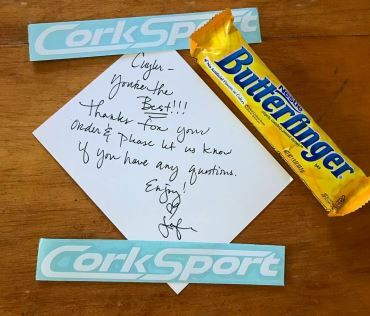 Nothing satisfies the CorkSport Team more than seeing happy, satisfied customers! CorkSport gives back to its customers for their loyalty and commitment to the Mazda platform. 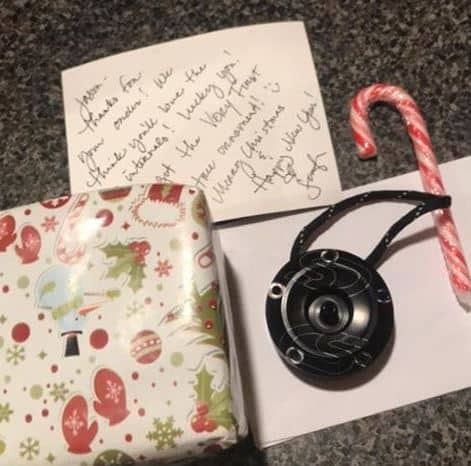 With small gifts, rewards, and throw-ins, you never know what kind of Joy CorkSport will leave behind for you. 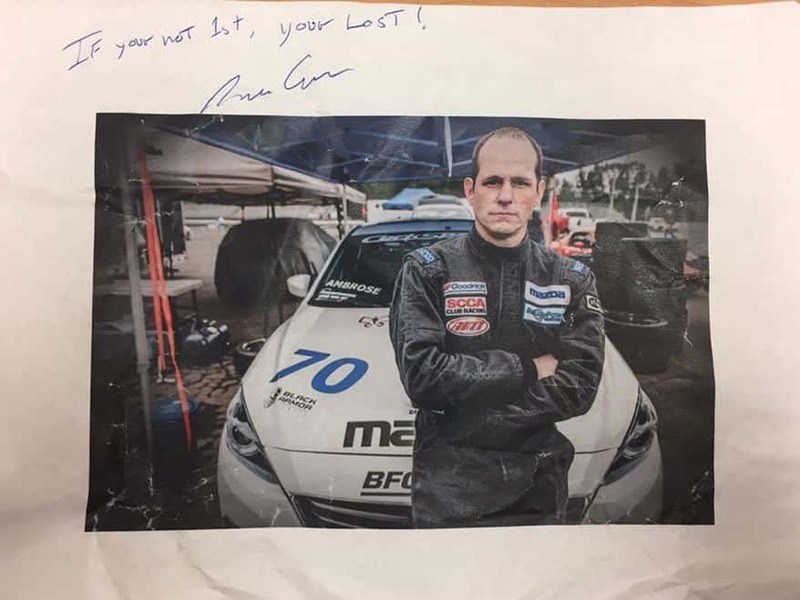 CorkSport gives good customer service? CorkSport customer reviews. CorkSport gifts!